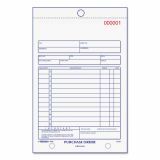 Note: A minimum quantity of 80 must be ordered, and in units of 10 thereafter. 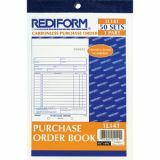 Rediform Purchase Order Book, Bottom Punch, 5 1/2 x 7 7/8, 3-Part Carbonless, 50 Forms - Purchase Order Forms come in vertical format with space for 24 entries. 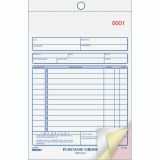 Three-part form has the original in white, duplicate in yellow and triplicate in pink. 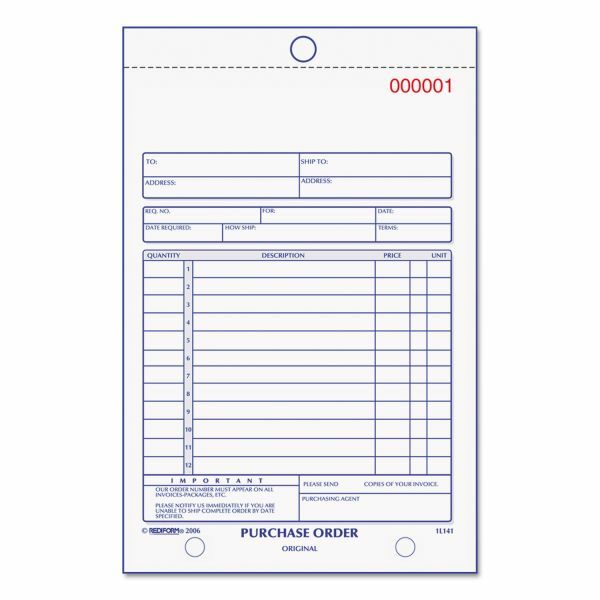 Carbonless forms are consecutively numbered.